A related paper can be found here. We study how professional investors use social networks to impound price-relevant information into asset prices. Exploiting novel data from an online social network that facilitates information sharing among fund managers, we find that long (short) recommendations released into the private network generate cumulative abnormal returns of 3.61% (-4.90%) over a twenty-day window. These results suggest that social networks play a direct role in facilitating the price discovery process. 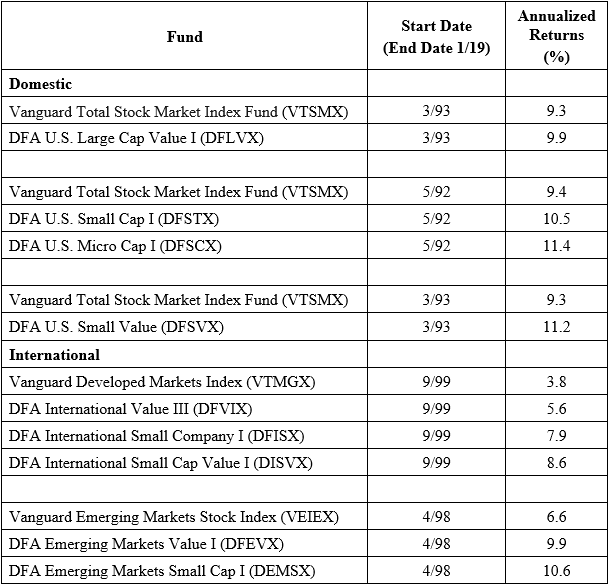 Data for this paper come from the recommendations posted to Valueinvestorsclub.com from January 1, 2000 through December 31, 2008. Stock prices and fundamental data are collected from CRSP/Compustat. Market are efficient. No they aren’t. Yes they are. I’m not sure if we will ever really know if markets are efficient or if they are inefficient, however, I do know this: making money is NOT easy and it takes a lot of time, skill, and luck. One group of investors that epitomize the intellect and skill it takes to succeed as a professional investor are the members of ValueInvestorsClub.com (VIC)…or at least that is how the story goes. VIC membership consists almost exclusively of smaller fundamentals-based hedge fund managers who focus on “stock-picking” as a way of life. The site facilitates the exchange of actionable trading ideas in real-time and encourages discussion and debate on the thesis presented. If you are a value investor that has been living under a rock for the past 10 years, I suggest you head over to their site and check it out. Below is a table from the paper, which highlights how VIC members choose their stocks (to create this we read every single thesis ever posted on VIC and gave each recommendation a discrete criteria based on the nature of the write up). Understand why a money manager may share good information with the competition (Talking your book). If you want a deep understanding of the issues surrounding this question I suggest you check this paper out. For the rest of us, who operate by KISS, understanding the primary driver behind idea sharing is fairly straight forward: investors share ideas to “talk their book.” For example, if I already have all my money in a stock or I’ve hit a risk limit in my portfolio (e.g, 10% of NAV), there is no cost to sharing my private information. Perhaps I’ll get lucky and convince another value investor that the stock is cheap and the price will rise. Or maybe the market crashes 50%, but because I’ve made others aware of my cheap stock, the stock only drops 30% as value investors come in and provide support. VIC, at some level, is explicitly designed to facilitate talking your book. And because the organization has a relatively long track record of recommendations, creating a large scale sample to assess how talking your book affects stock prices is finally possible. So how does the market react to VIC recommendations? The case study of IASG exemplifies the findings from the paper. Prior to the December 7th, 2006 recommendation, IASG tanked relative to the market. After being recommended on VIC the stock jumped by almost 10%! In the next few weeks the stock slowly drifted upwards (on a risk-adjusted basis) until it was announced on December 21, 2006 that IASG would merge with Protection One. The results from the IASG example are representative of the entire sample of VIC recommendations. In the graph below, the dotted line represents the return path of short recommendations and the solid line represents long recommendations. After posting, short ideas tumble and long ideas see a large upward spike. In both the long and short scenario there is a continual ‘drift’ following recommendation. The ideas posted are actually valuable to whomever purchased them prior to recommendation AND after recommendation! Take a full position in the stock. Crank on your PR engines and spread the word about your idea (VIC, Sumzero.com, SeekingAlpha, etc.). Here is a paper looking at the performance of Seeking Alpha posts. Drive prices closer to fundamentals in a shorter amount of time. Talking your book is an interesting concept and closely parallels the “pumping your book” concept, which is more nefarious. Understanding the difference between “talking” and “pumping” is a critical insight one must understand before they engage in either activity. Talking your book is the actual sharing of good ideas, whereas pumping your book, is sharing rumors/lies/misinformation regarding a stock that is already fully valued and/or overvalued (this strategy takes advantage of the “sucker born every minute” concept). Pumping your book is unethical and against various regulations, however, there are many ways investors should think about leveraging the benefits of talking their books. Often, investors simply focus on investing, but sometimes they forget that the stock market is part investing and part beauty contest. Those investors who simply rely on the broader market to magically find their undervalued stocks, may end up sitting on an undervalued stock for many years before the valuation reaches a “fair” price. Why not share your scoop with other value investors? Sharing is a win-win for everyone: Other investors access new ideas, and prices reflect fundamentals sooner rather than later.